Room opens exactly where you would expect it to, in the tiny room where Joy Newsom (Brie Larson) and her son Jack (Jacob Tremblay) live. The space these two inhabit is tiny, but it doesn’t feel that way at first. At first, the room comes across as an entire universe created for this woman and her boy. In reality, it’s an entire world that this woman created for her son. It’s Jack’s birthday and he wakes with the kind of energy only five-year-olds possesses. His mother Joy is tired and looks beyond sad, she’s broken. Nevertheless, as the day passes, so does this latest wave of melancholy. We observe as Joy’s face comes to life while watching her son run about, lighting up room with his indelible energy. Joy and Jack are being held captive. Joy was abducted seven years prior (at the age of 17) by a man she and Jack refer to as Old Nick (Sean Bridgers). She was ripped from her life and stuffed in a sound-proofed shed, where she’s been ever since. At first she was alone, but after a couple of years, she got pregnant. Not only did Old Nick steal everything she’d ever known, he regularly raped and abused Joy, and Jack is the product of this abuse. Jack is also Joy’s savior. 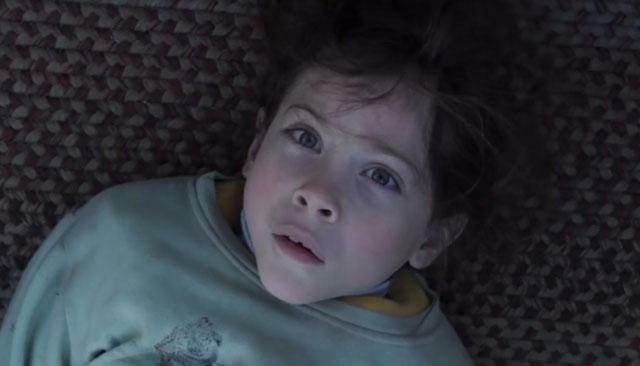 Room is the story of how one little boy saves his mother from the horrors of abuse, captivity and the overwhelming stress of newfound freedom. Brie Larson is exquisite as Joy. Her powerful and gut-wrenching performance had me bawling about 30 minutes into the film. I’m a hyper-emotional person, so shedding a few tears during a movie is nothing new. However, full on sobbing and blubbering during a movie is extremely rare for me. This sort of thing only happens when I’ve connected deeply with a story or character. During Room it happened because I felt every ounce of pain, elation and even some hints of the trauma depicted in this film. While the story is captivating all on it’s own, the raw emotion I felt was due mostly to Larson’s compelling performance. Jacob Tremblay’s character Jack brings a mostly soothing balance to a story that revolves around the effects of serious trauma. Tremblay’s performance lights up every scene. The innocence and vibrancy he injects into his performance make you want to scoop him up and hold him just as often as you want to cover your ears and run from him. He’s the quintessential boy in a movie that’s anything but ordinary. Despite his young age, Tremblay's performance was on par with that of Brie Larson, and that’s saying a lot as Larson was essentially perfect. As with every movie that rises above average and into the realm of excellence, the supporting cast truly came through. Joan Allen brings us a patient, grateful and fearful mother in Nancy. William H. Macy as Robert (Joy’s dad) brings a biting reality that’s difficult to accept and hard to watch. Sean Bridgers as Old Nick is quietly creepy and disgustingly serene. Every performance in this movie is top notch. I knew nothing about this movie when it was originally released. I didn’t know it was based on a book. I didn’t even know it was about a woman that was abducted and held captive for seven years. I had no clue. All I knew was that Brie Larson’s performance was being heavily lauded at every award show I could think of. Award shows are fun and everything, but they don't determine what this cinephile likes, so I ignored the buzz. It turns out I couldn't have been more wrong. Earlier this week I went to the salon to dye my hair a new color, and lucky for me, my stylist took the time to school me on Room. She knows I’m a movie blogger and asked if I’d seen Room. I told her I hadn’t and she explained that she hadn’t either. She said she’d read the book and it was so emotionally overwhelming that she didn’t think she could bear to watch the film. This piqued my interest. The stylist working next to us overheard our conversation and said she had seen the movie. Her client asked what exactly Room was about and so she told her. That’s when I found out this was a movie about a woman who’d been abducted, routinely abused and held captive for almost a decade. It was also when I decided I had to watch it. The story had made a huge impression on the people around me and I wanted to know what all that fuss was about and so I went home to watch it on Video On Demand. As I said earlier, I devolved into a blubbering mess 30 minutes in. That’s when I knew I wasn't simply going to like this movie; I was going to love it. By the time the credits rolled, I knew I’d be recommending it to anyone willing to listen. 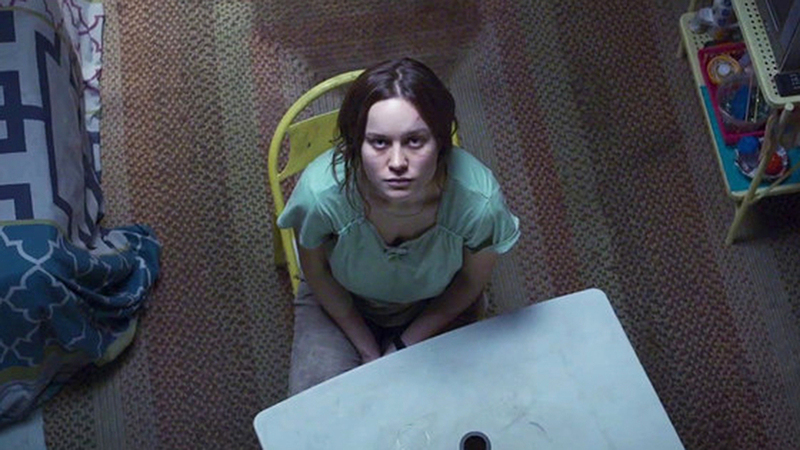 Lenny Abrahamson (Director) pieces together a tremendously moving story in Room. I can't imagine how difficult it must be to express such intense levels of trauma, rediscovery and reincarnation without being heavy handed in the process. Whatever the case, Abrahamson does not disappoint. Despite the harsh subject matter, Room is an elegant depiction of tragedy and rebirth not to be missed. A+ = When a movie makes it so that when its over, you just want to watch it again, it gets an A+. Mission accomplished. Well done.